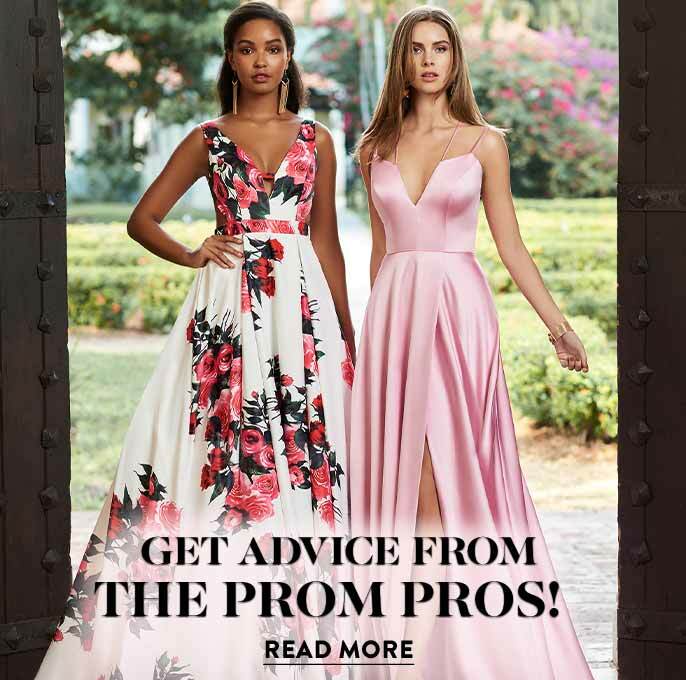 Shop PromGirl’s selection of white and ivory formal reception dresses and semi-formal dresses for your wedding reception. Typically in ivory or white, reception dresses can be short dresses or long gowns, depending upon your style and the formality of your ceremony. If you’re having a fancy black-tie wedding, then a long formal white or ivory dress is a good choice for your reception. If your ceremony is more casual, you may prefer a short white party dress for your reception. Whatever your style, browse this assortment of formal and semi-formal dresses for your ideal reception dress. 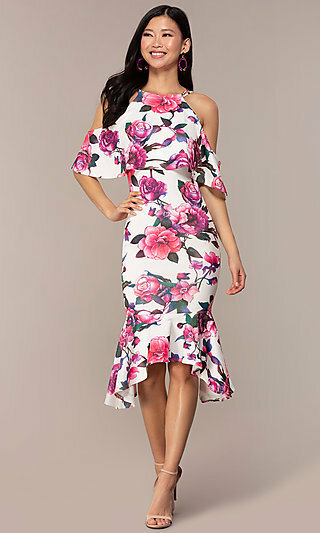 Not Sure What to Wear to Your Wedding Reception? Browse this assortment of stunning wedding reception dresses for the perfect short white party dress, ivory semi-formal dress, or long formal white gown. A strapless short white dress with lace and pearl accents will have all eyes on you as you make a grand entrance to your party. For a more classic and timeless look, try a long elegant designer dress featuring an illusion lace bodice. This assortment of dresses for wedding receptions includes ivory and white designer dresses by La Femme, Jovani, Mori Lee, Sherri Hill, and many more. There are long white lace gowns featuring open backs, cut outs, and illusion sleeves of varying lengths, as well as short white party dresses with beading and jewel accents. 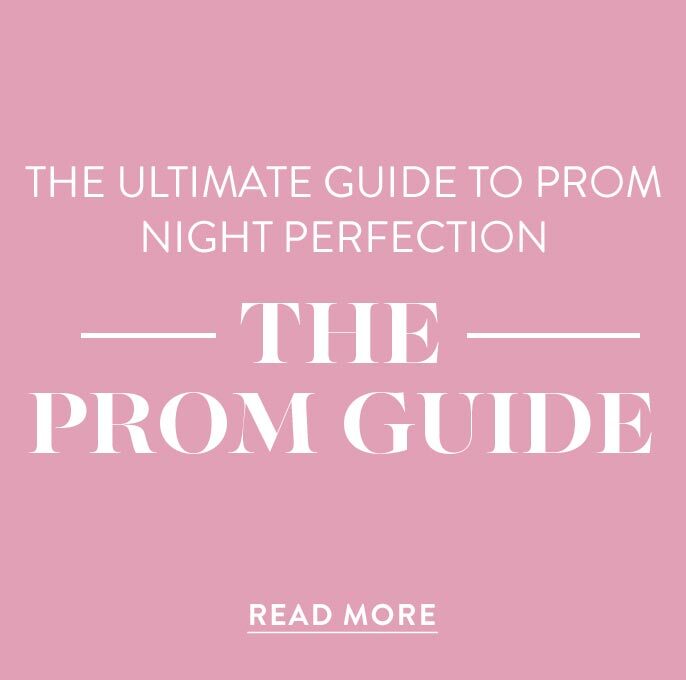 Whether you prefer the luxurious style of an ivory floor-length Sherri Hill dress or need a more casual short white dress for your reception, you’ll find plenty of white dresses to choose from at PromGirl. Once the ceremony is over, cut loose and enjoy yourself with friends and family by changing up your look with a trendy reception dress. Be sure to choose a reception dress that will be cute, comfortable, and yet allow you the freedom of movement needed to dance the night away. There are reception dresses for every shape, size, style, and budget in this collection. A beaded-bodice white babydoll dress with a twirl-ready tulle skirt will provide the right amount of sparkle. Try a sleek ivory a-line evening gown featuring bows, ruffles, or lace for a romantic look. Choose a chic high-low white dress with a flowing chiffon skirt for an ultra-feminine style. Want to ensure there’s some cash left for the honeymoon? 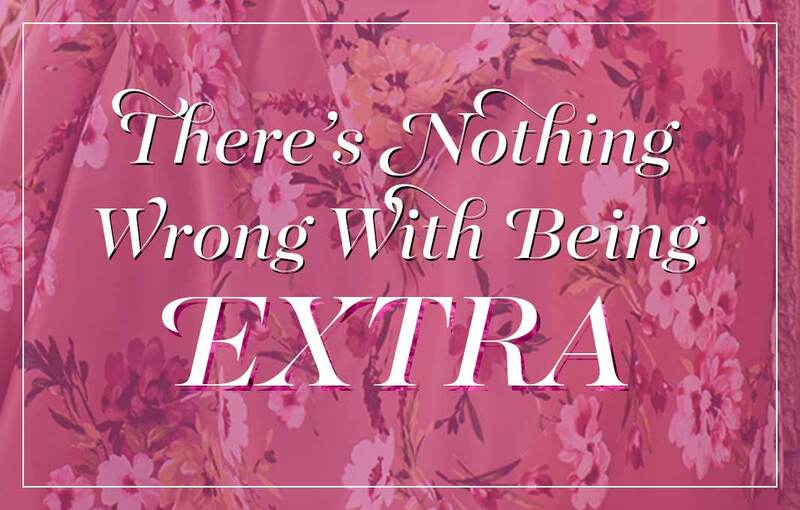 Shop the cheap reception dresses, under $100, for a show-stopping look at a reasonable price. These inexpensive reception dresses feature the same fashionable trends, cuts, styles, and embellishments as their couture counterparts. Perfect for the bride on a budget, check out the affordable short white reception dresses at PromGirl. 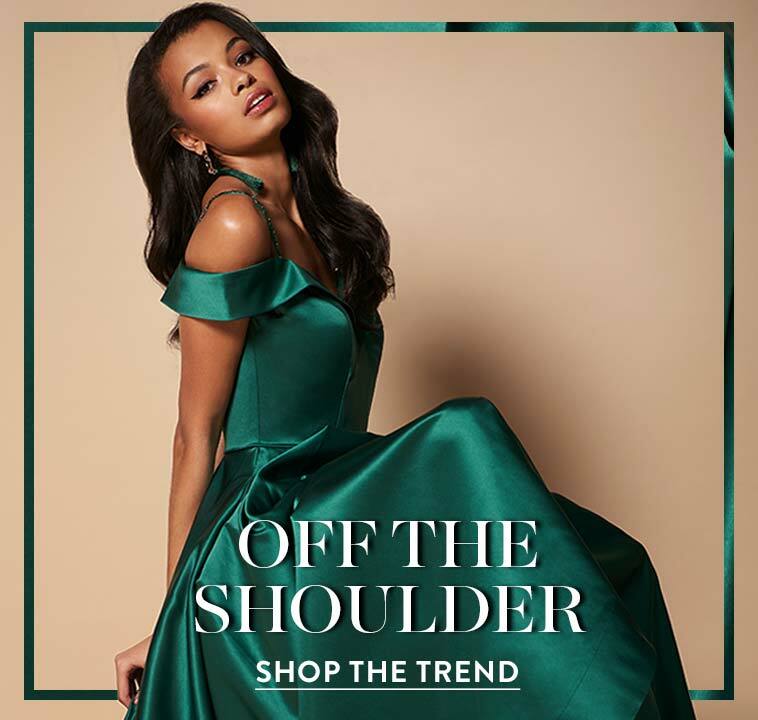 Whatever your type of wedding, style, or budget, PromGirl is the place for your reception dresses, bridal party dresses, and dresses for wedding guests.